Gold Star Families Remembrance Week is September 23-29, 2018. 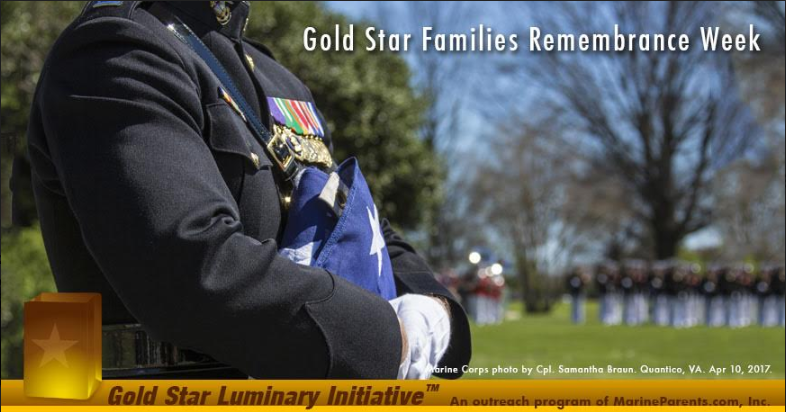 As a prelude to Gold Star Mother's and Family's Day, a resolution in the United States Senate was unanimously approved to honor the families of those who gave their life during their service of the United States of America. This resolution is now known as Gold Star Families Remembrance Week and will be from September 23-29, 2018. 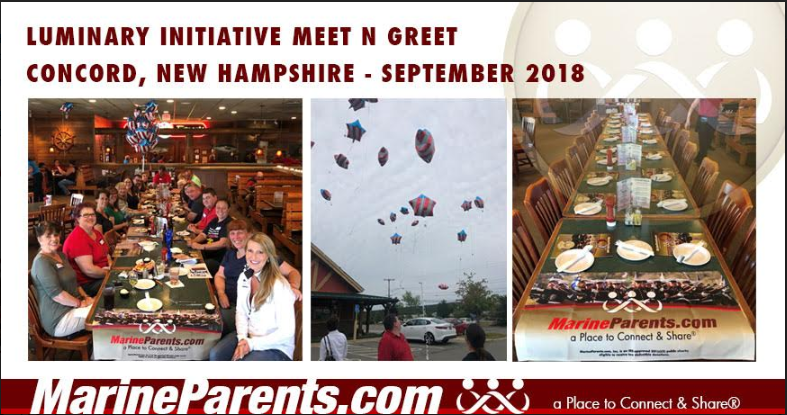 Also in this newsletter: read the MarineParents.com mission statement, The Well of Fortitude by Tracy Della Vecchia, the weekly featured TMP participant, the featured Hispanic Heritage Month Marine, and the recap of the recent MarineParents.com meet and greet in New Hampshire. 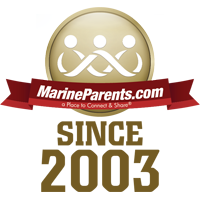 "Education and Support for Marine Families"
"Community Awareness for Troop Support"
Our mission includes four distinct areas: Informing, Supporting, Connecting, and Sharing. 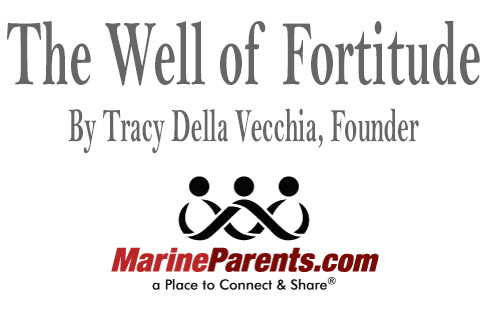 This article was written in October 2009 by the Founder, Tracy Della Vecchia, when the organization was not quite in it's seventh year. It still rings true today when the organization is now more than 15 years in service. 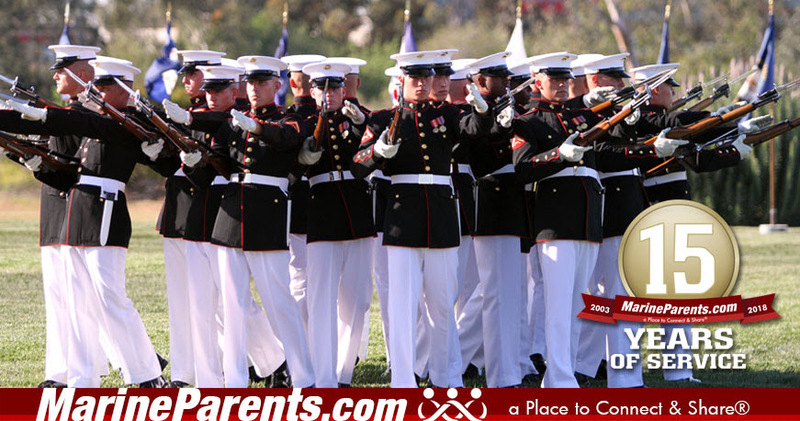 Joe Pierce is a retired Air Force officer and father of a former Marine, Jeremy. One of Jeremy's best friends, LCPL Eric L. Ward, was killed while they were on patrol together in 2010 in Helmand Province, Afghanistan. The Pierce family knew Eric because he spent several long weekends at their home in Virginia. Later in 2010, Eric's aunt, Lori, brought several of her friends to the DC area to run the Marine Corps Marathon in Eric's memory. 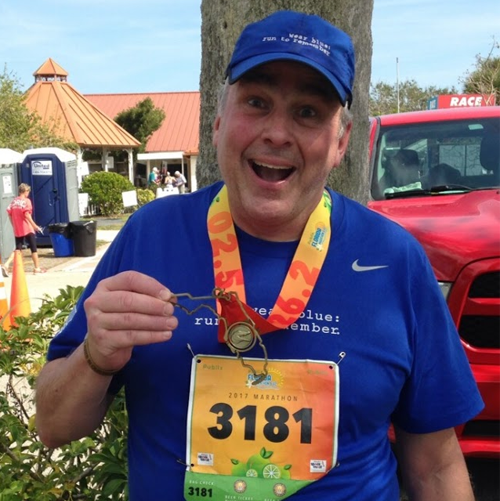 That inspired Joe to finish his first marathon, the 2011 MCM. ﻿Born in Mexicali, Mexico in 1947, Camarena joined the Marine Corps in 1973, serving for two years. 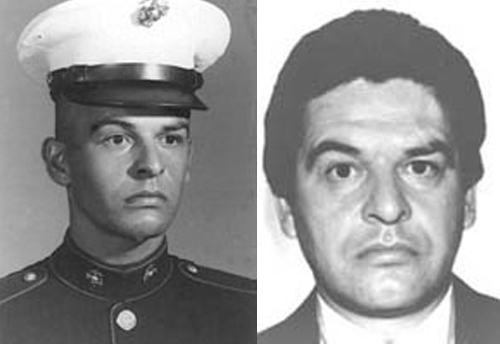 Following his time in the corps, Camarena joined the DEA, first in Calexico, California, before transferring to the agency's Fresno office in 1977 and then to its Guadalajara, Mexico office in 1981.